As I fired the bullet from the Beretta, I had to acknowledge the fact that this blog has led me to some pretty unexpected situations. But here we all are. Goodwood. 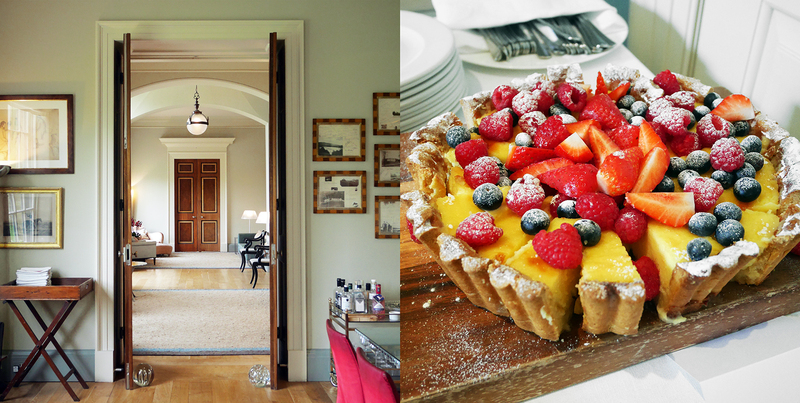 To me, it was a fancy country house and a place that Chris Evans bangs on about A LOT. Something to do with really fast cars. In this instalment of Get Fran Out Of Brighton, I travelled down to discover this estate is far, far more than a riche playground for boys and their toys. 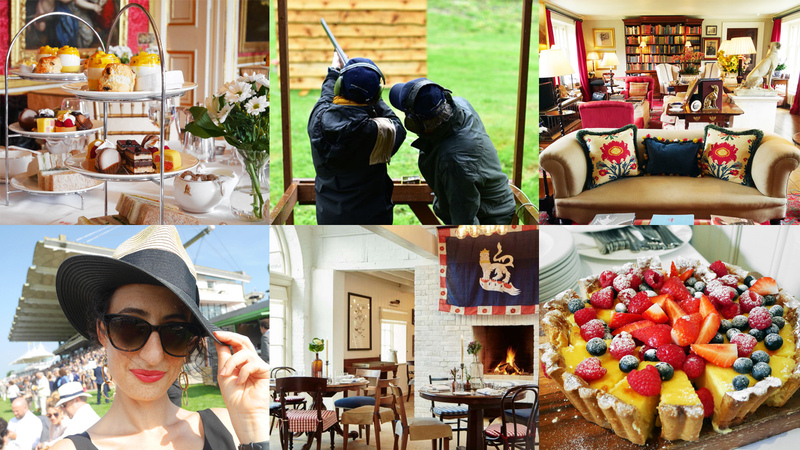 Beautifully ("beautiful" will be overused in this post) furnished and comfortably elegant, The Kennels is the central clubhouse for the estate's sporting members. But even if the idea of sport fills you with horror, social membership is available where you can work, rest, eat and drink. 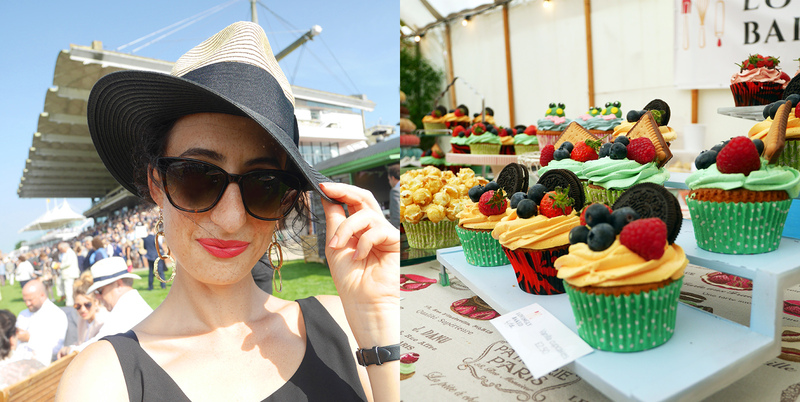 I was so surprised with the fee starting at just £180, which has plenty of additional benefits including access to some wonderful events. Had this been a shorter distance, I would have immediately snapped this up as my new office space, all with a view of Goodwood House, excellent food and a fine gin and tonic. More info. 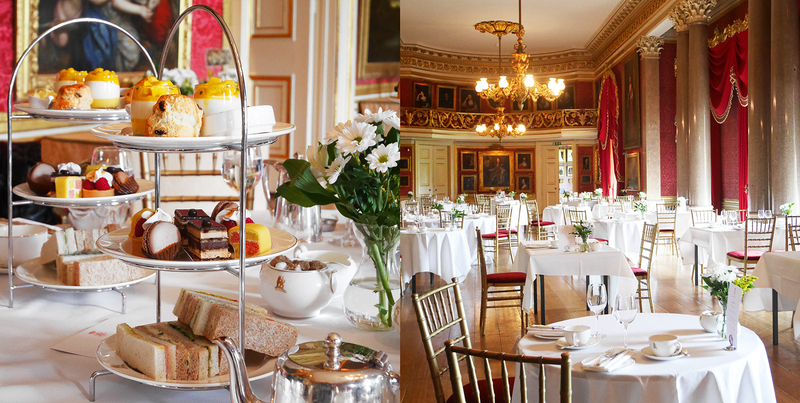 I think most people would be impressed with afternoon tea in the Goodwood House Ballroom. It's a sumptuous space, walls lined with an outstanding art collection and luxurious furnishings. Again, you'll be surprised with the price tag too; just £25 per person with a tour of the house included, making for a lovely gift and just as good as many others I've had a twice the cost. And it was a very good afternoon tea too with the freshest of finger sandwiches, crumbly scones and a delicious variety of jewel-like cakes. More info here. 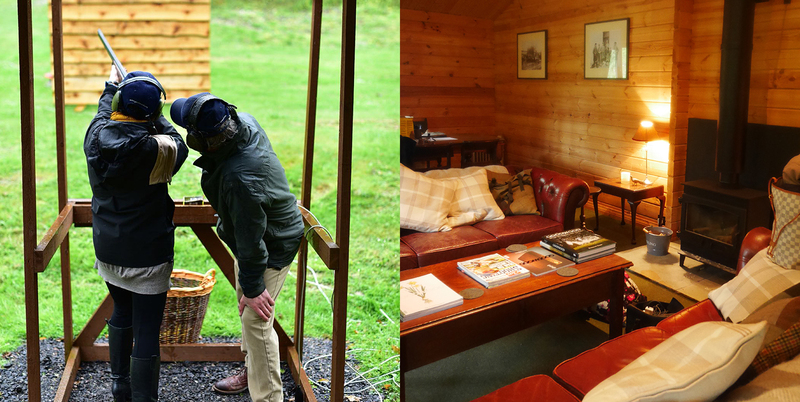 I was slightly beside myself with a visit to Hound Lodge, an exquisite 10 bed property, formerly the dog kennels, that you can hire in its entirety for a cool £10,000 a night. However this includes a butler, maid and chef, your food and drink, which when you do the math on potentially 20 guests, isn't too bad at all. 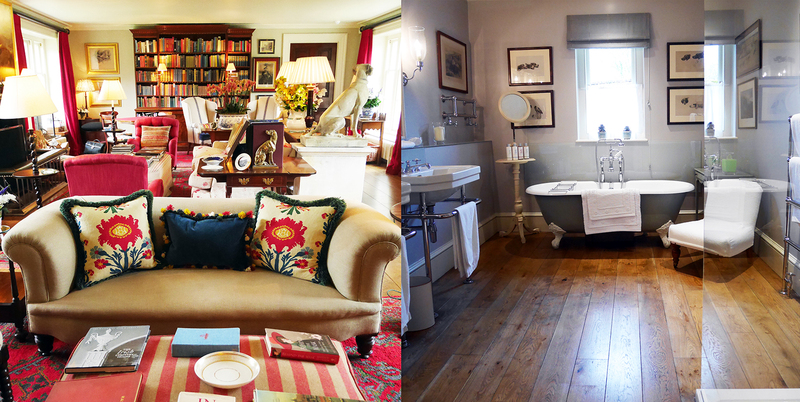 The attention to detail was impeccable, from the bedding stuffed with wool from the estate's sheep, to the fragrant floral arrangements in every single room. It had everything you could possibly want, including a fully stocked bar for the party of your life. I was very close to locking myself in the stunning master bathroom and refusing to come out. Book it here (and invite me). It was during my neck and back massage in the spa, I was mentally rebranding my entire blog to that of a lifestyle one. I could sure get used to this! 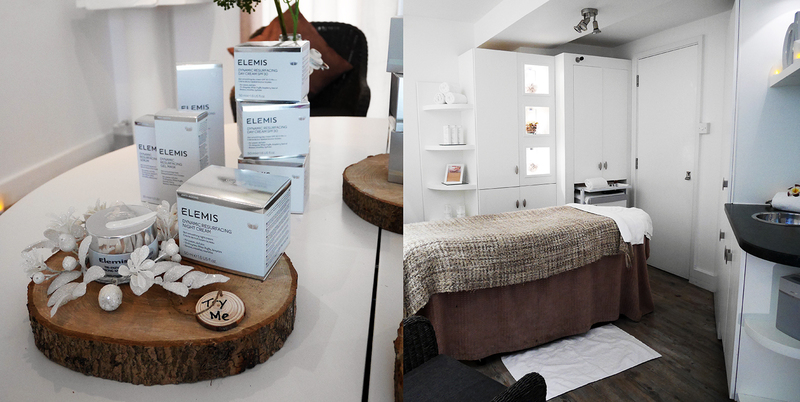 The Elemis and Elemental Herbology products they use in their treatments are gorgeous. Have a look at the treatments. Goodwood Health Club is well equipped, modern and, as I was now expecting, came with the best of personal trainers. A year ago this would have probably had me running away but I have caught the fitness bug so it was a privilege to have been offered a training session with double Olympic gold medallist Sarah Ayton OBE. I've used PTs before and not new to weight training, but I particularly enjoyed the session; informative, effective and fun, as fitness should be, and Sarah was just lovely. I came away from even this first session with tips and exercises to incorporate into my routine. 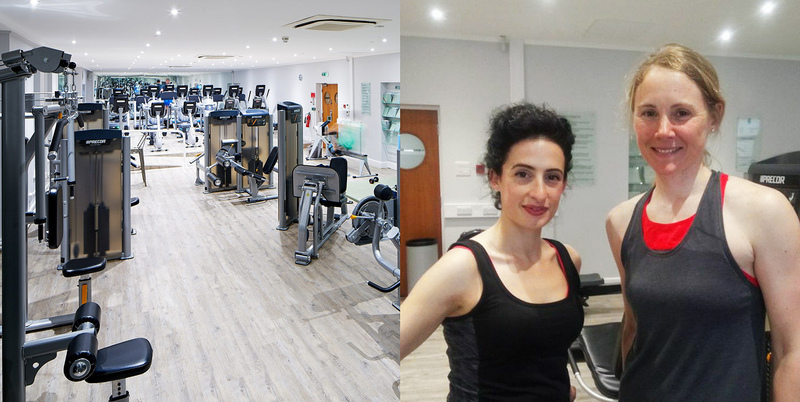 Along with the gym and PT sessions there is a programme of fitness classes, garden studio, a swimming pool, jacuzzi, sauna and steam rooms. More info. Returning another day to Goodwood racecourse, I couldn't recall ever going to the races before, but had such a great time. It was the Festival of Food and Racing with a farmer's market, cooking demos, a gin garden and plenty more. Having a combination day like this is ideal if you are new to it, and a smart way of introducing a new audience to the track, but any excuse to get dressed up and drink Pimms in the sun will get my vote. There are upcoming racing events that merge with hops, music and family fun. And not all at once. See the race day events for this year here. It's nice to leave wanting to spend more time in a place; there's clearly a lot to do and enjoy on the estate, even more than I had seen or experienced and just an hour from Brighton. Flying packages, motor racing, golfing and their famous events like Goodwood Revival and The Festival of Speed. It sure is a playground for all. And I'll be returning soon to dine in their truly sustainable restaurant Farmer, Butcher, Chef which uses produce from their self-sustaining farm. Sigh, glorious, glorious Goodwood indeed. Visit goodwood.com for upcoming events and memberships. I attended as a guest of Goodwood. Words and thoughts, as always, my own.